AppLovin found that 35% of Chinese consumers were picking the 6 Plus instead of the 6, nearly twice the global rate of 20%. In Japan and Vietnam, adoption rates for the 6 Plus were even higher at 36%. The Philippines showed the most interest in Apple’s new phablet with a 37% adoption rate. South Korea was the only Asian country with an adoption rate below 35% per cent. App Lovin found that only 29% of consumers on Samsung’s home turf preferred the iPhone 6 Plus. 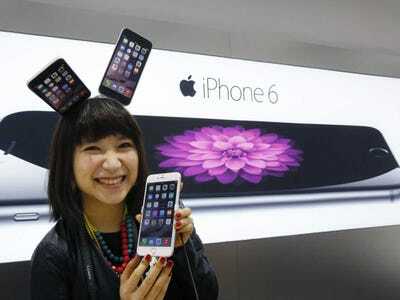 The giant iPhone’s popularity in Asia is surprising given that Japanese consumers were opting for the iPhone 6 over the 6 Plus when both phones came out in September. On the other hand, the success of Samsung’s Galaxy Note says Asian consumers have been waiting for an Apple phablet for some time now.